How do you define success? It may be different for each of us, but for most folks, we likely think about crossing a finish line after embarking on some type of life journey. At this time of year, graduation ceremonies provide the opportunity to celebrate the academic accomplishments of students who have reached a successful conclusion to their school experience. It is one way we acknowledge the hard work and effort required to earn a diploma. For many, that journey may be a direct path. But for some, the road to that graduation finish line might look a bit different. For a variety of reasons, life may cause it to be a winding road rather than a straight line. That is what makes the 2014 graduating class of Cora Cox Academy so unique and so extraordinary. Undaunted by whatever challenges life my have thrown at them, these young men and women demonstrated the commitment necessary to graduate high school and successfully prepare themselves for the next stage of their lives. They are to be greatly commended for understanding the importance of completing high school and for committing themselves to accomplishing that goal. 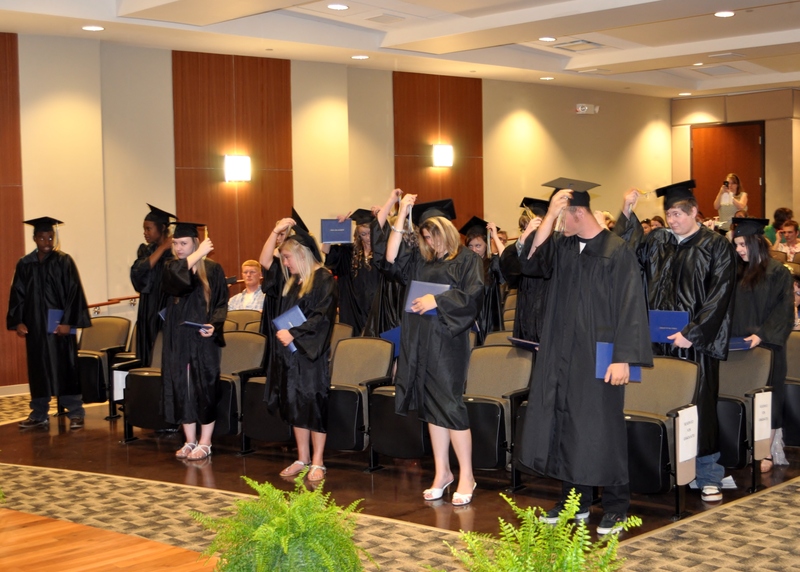 On May 21, 2014, the largest graduating class in Cora Cox Academy history crossed the stage and received their diploma, signifying the completion of their high school journey. 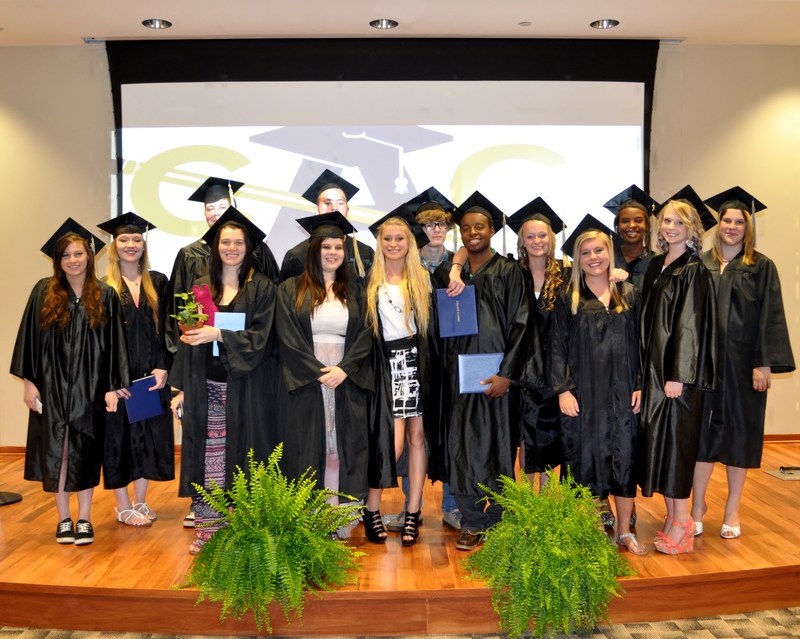 It marked the next step in the growth and evolution of CCA, which offers students a unique path to a high school diploma. In the coming months, this innovative approach to a personalized high school education will grow to include both a virtual academy with expanded online course offerings and a non-traditional high school academy, where flexible spaces and scheduling will help to serve a student population with diverse needs and abilities. It’s an exciting and cutting-edge approach that focuses on individual student needs to provide all children a path to high school graduation… especially ones that may find success in the traditional high school setting more challenging. As the recent Cora Cox Academy graduates demonstrated, great things can be accomplished when you dedicate yourself to doing whatever is necessary to reach that finish line. And with the non-traditional approach being developed at CCA, even more students will have the opportunity to take this vital step in their life journey. To the CCA Class of 2014, we salute you for not allowing the winding and difficult road of life from deterring you from reaching your goal of a high school diploma. You set a wonderful example for us all, and we look forward to celebrating that next finish line with you. We persevere… We are KCS!